Isabella’s Salon is a full-service hair salon in Highlands Ranch, offering precision cuts, all-over colors, highlights and lowlights, extensions and restorative treatments. Since 2008, we’ve been consistently serving our satisfied customers in all aspects of hair styling in Highlands Ranch, all from the intimate setting of our home salon. The clients of our hair styling in Highlands Ranch include men, women, boys and girls who simply want to look their best. 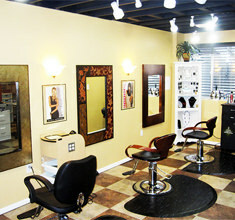 At our Highlands Ranch hair salon, we take pride in giving our customers awe-inspiring hairstyles. Our experts in hair color in Highlands Ranch are trained in the Aveda coloring method and will consult with you to make sure you get the exact look you want. Our experience in hair color in Highlands Ranch includes all-over coloring, highlights, grey blending and color correction. Whether you want to cover all of the “sparklers,” add some brightness with framing highlights, or show your fun side with some pink or blue streaks, we will work closely with you at our hair color salon to make your hair dreams become a reality. Your satisfaction is our top priority at Isabella’s Salon, a top hair color salon in Highlands Ranch. 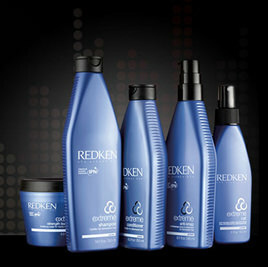 Our stylists are highly skilled and are familiar with the latest cutting-edge techniques and hair products. If you have a look you like and need to maintain it with a precision cut, we are here for you. If you’re bored with your current ‘do, our stylists have talent at helping you find the perfect cut for your face shape, hair texture and lifestyle. If your hair has been over-processed or damaged by the tough Colorado environment, Isabella’s Salon has an assortment of hair treatments in Highlands Ranch to bring the best out of your hair. Our goal at Isabella’s Salon is to make you look great so that you feel great. Our Highlands Ranch Hair Salon is open Tuesdays through Sundays, at times to accommodate everyone’s schedule. We’re looking forward to meeting you and making your hair dreams a reality!